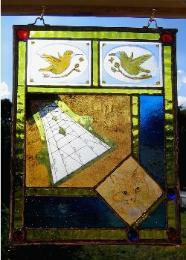 Some of the author's stained glass work since the 1970s is here (not sundials). Some of the authors demonstration sundials, a couple of which are in stained glass. 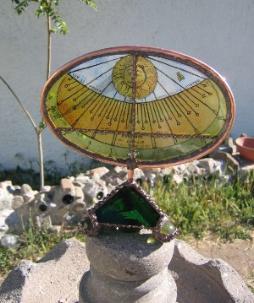 An excellent stained glass sundial web site. 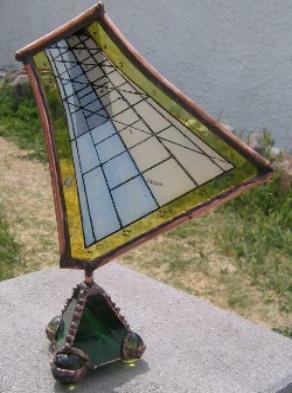 One of the author's stained glass sundials that made sundial of the month.